Bedfordshire Police’s Luton Community team has successfully secured two closure orders for properties in the town, after responding to concerns raised by residents. 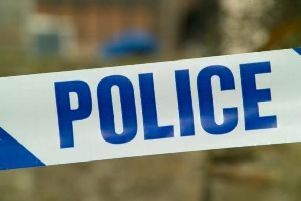 On Tuesday, January 8, the force received a report of a break in at a property in Leagrave Road. Officers attended, safeguarded a vulnerable victim and secured a 24-hour closure notice, which was extended to three months, following a hearing at Luton Magistrates’ Court on Thursday, January 10. On Friday, the community team carried out a warrant at a property in Burr Street and found a quantity of what is believed to be cannabis. Officers issued the property with a 24-hour closure notice, which was extended to a one-month closure order, after a hearing at Luton Magistrates’ Court on Saturday, January 12. Sergeant Richard Cunningham, from the Luton Community Team, said: “We remain dedicated to tackling drug crime, anti-social behaviour and exploitation of vulnerable people. “We encourage our communities to come forward if they have any information, or concerns about suspicious behaviour in their neighbourhoods. Please report concerns by visiting www.bedfordshire.police.uk/report, or by calling 101.